Overnight, Equinox covered the 190 nautical miles from Costa Rica to Colon, Panama. What an interesting port to arrive in. 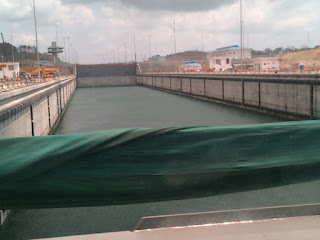 It was abundantly clear why this place exists - the Panama Canal. We were greeted by fifty or more ocean going ships, all anchored out and waiting for their turn to take the short cut and transit the canal to the Pacific Ocean. This is a very busy port. 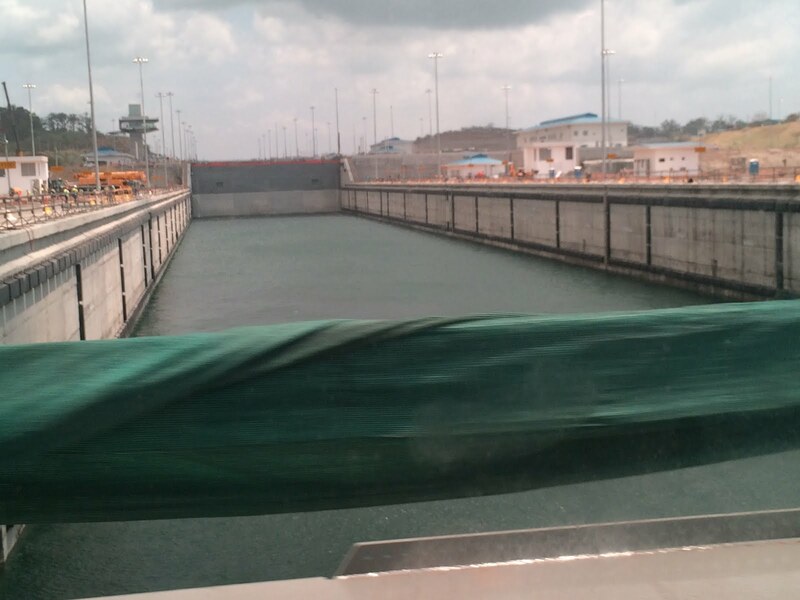 The Panama Canal accommodates ships travelling both directions, 24 hours per day, 365 days per year. There is no down time at all. There are currently two sets of locks, side by side, putting ships through as fast as they can. 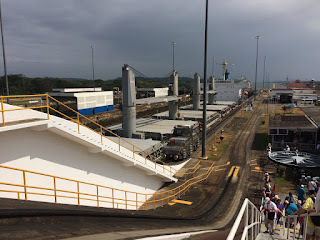 As these locks were build a long time ago and ships have grown considerably larger, Panama is also nearing completion of a third set of locks to accommodate much larger ships. In late June of this year, the third canal will open and be inaugurated in front of dignitaries from around the world. Once again we decided to try our luck using a local, on the pier tour guide to take a small group of us around. 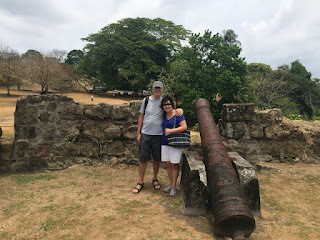 We found Alex and along with 9 others headed off to see the Gatun Locks, the "expansion construction" of the the third set of locks and Fort San Lorenzo. For boaters who have transited locks, the Panama Canal is a somewhat different process. There are railway tracks on either side of the locks with electric train engines called "donkeys". There are three of these donkeys on each side of a ship. Each donkey has two very heavy cables attached to bollards on the ship. The donkey operators keep their cables tight the whole time so as to keep the ship centred in the lock. The ship moves forward through the lock using its own power, but the donkeys and cables keep,the ship,centred and presumably keep the walls gates of the locks from getting damaged. 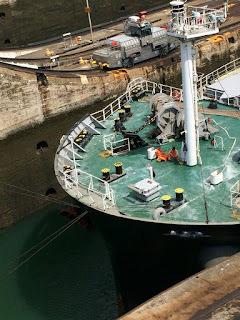 As the ship moves from one lock to the next (the locks are grouped in flights), the donkeys go up a cog rail system to climb the approximate 35 degree incline to move from one lock to the next. Our peek at the new set of locks under construction, revealed an immense structure that will surely get decent tv coverage in years to come and prominent exposure with the cruise lines as their bigger ships will be able to take this passage. To get to Fort San Lorenzo, an over 400 year old Spanish ruins that is a UNESCO World Heritage site, we had to drive through the former US Army Base at Fort Sherman and its jungle training base. It certainly was a jungle, rain forest area with extremely dense tropical vegetation. On queue, it rained for us as we drove up to the Fort San Lorenzo ruins. It is fair to say Panama does not spend any of the $5 PP entrance fee money to maintain this site. Even the wooden slats on the bridges crossing the ancient moats to the Fort were dangerously weathered and deteriorated with every forth one cracked or broken. The sun was out again and when combined with the humidity from the rain made for sky high temperatures. We survived the walk around and welcomed the moderate AC in our van for the trek back. 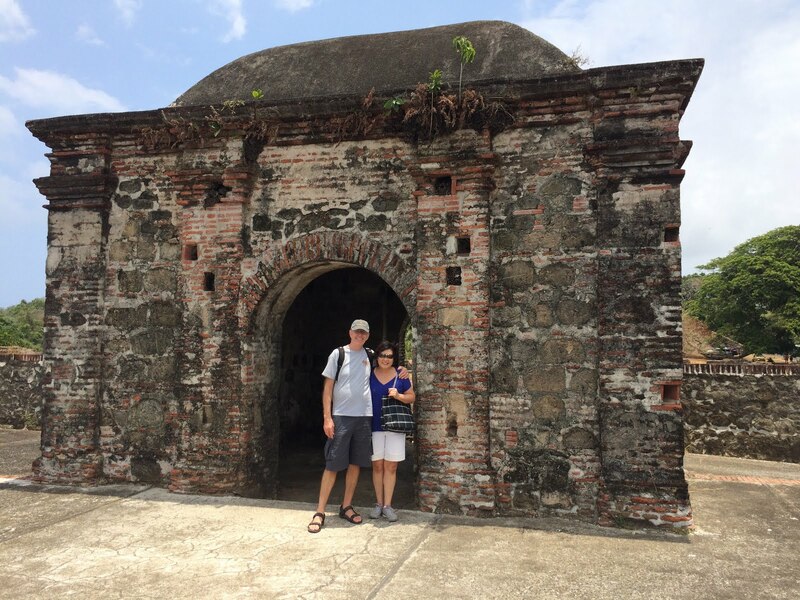 Our outing included a winding drive through the port city of Colon where we concluded all the big money in Panama must be in Panama City. Colon appeared to us to be very poor and run down. However, one must always remember that world travel includes seeing all dimensions of the lives of fellow citizens of the world and not judge them - just enjoy the experience and spend some money while we are there. Overnight, we headed northwest 268 nautical miles to Cartagena, Columbia into a reported 25 knot NE wind. We can report the waves were suitably large and our balcony was covered with salty mist in the morning, but the motion and ride of the ship was very comfortable. Another Donkey guides the ship safely into the lock. It is noticeably hotter and more humid on Cartagena where there is a year round average daily high temp of about 33 degrees C. While docking, Equinox is flanked by two of he most sophisticated tugs we've ever seen. They look brand new. Twin engine. 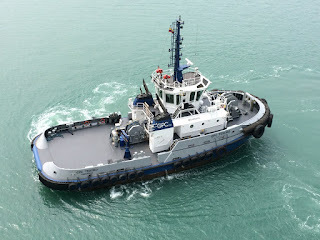 Joy stick controlled with pod drives and thrusters, these tugs could crab along sideways keeping their bow pointed at the side of Equinox, ready to push/assist at a moments notice. There were no deck hands visible (they were probably in the bridge) and all the work appeared to be done by the Captain. Very cool! 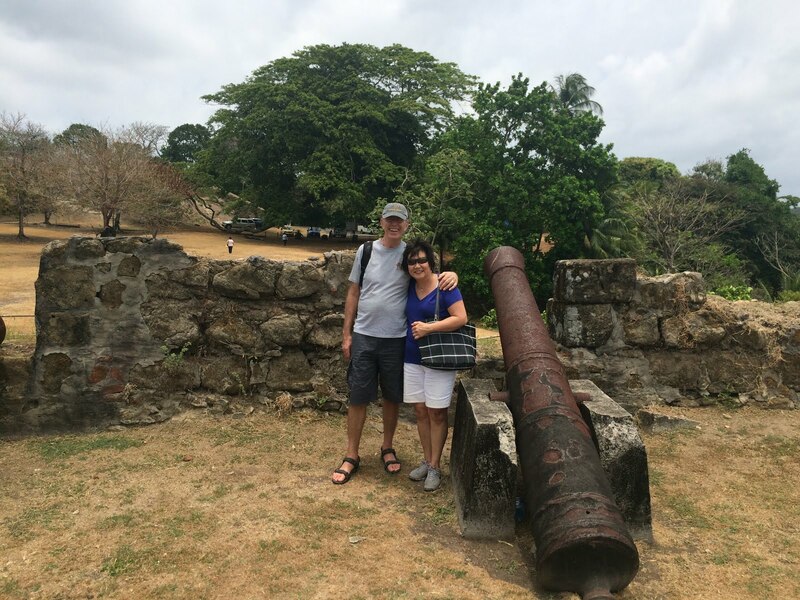 After docking, we disembarked with neighbours John and Pat Raymer and walked to the ships terminal to explore what was there before heading into town. The terminal was a lovely little sanctuary with lots of trees, shade and all kinds of birds including flamingoes, peacocks, parrots, plus iguanas and more. We split the $20 cab for the three mile run to the old walled city. What a treat we had. When we think of Columbia, we think drug trade, cartels guns and violence. For Cartagena at least, this view is way out of date. The old city is charming with its stone walled perimeter and its wonderful, old Spanish architecture, so very colourful and beautifully maintained. Contrasting the old city is the new with mega high rises on a low lying peninsula (a la Miami Beach). 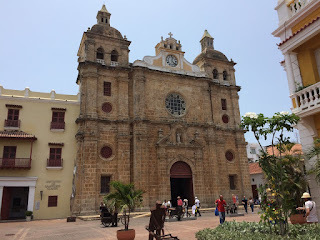 In the heat of the day we wandered around past the Palace of Inquisition, The Clock Tower, La Catedral, San Pedro Claver etc. 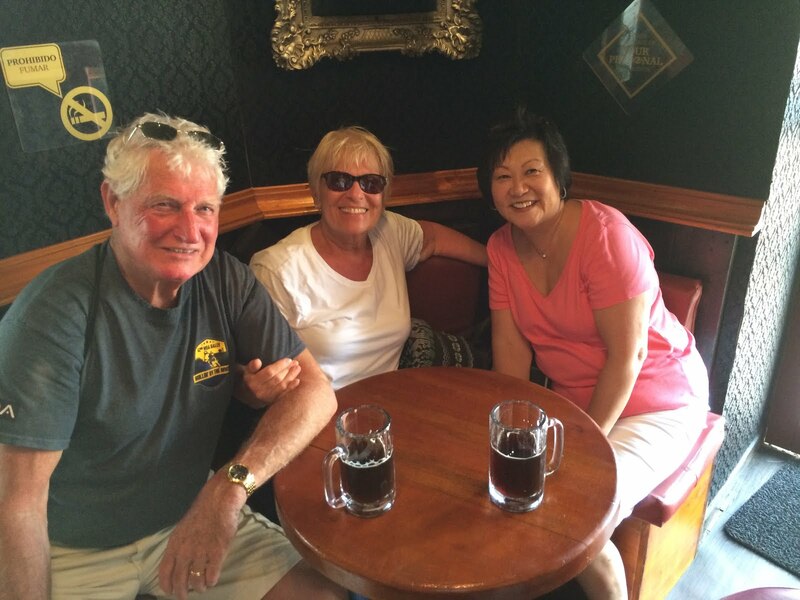 When the heat and humidity got too much, we stopped at The Clock Pub for ice cold beer and Margaritas in air conditioning to cool down and relax while taking advantage of free wifi to get/send emails. A half block of walking afterwards convinced the four of us it was time to return to the ship to cool down. We had a quiet afternoon relaxing on board. In the evening, we were treated to the piano playing and singing of Ryan Ahern. At the start of his show, in his own words, he told us he was the illegitimate son of Roseanne Barr and Pavarotti. Could this be true? No idea and no internet access to confirm. Anyway, he certainly has great musical skills. Among a wide range of content, he played a mean boogie woogie style piano with amazing arrangements. Highly entertaining once again and he also had great praise for the house band in Equinox and the performing experience on Celebrity. The next day was a relaxing, low key day while the ship stayed in port at Cartagena. The temperature of 33 plus humidity made us not want to venture back into town so we went to see the birds in the ships terminal again, we watched a demo of preparing the perfect steak by the chef of the Tuscan Grill, did the gym and more. Cool tug helps us dock in Cartagena. 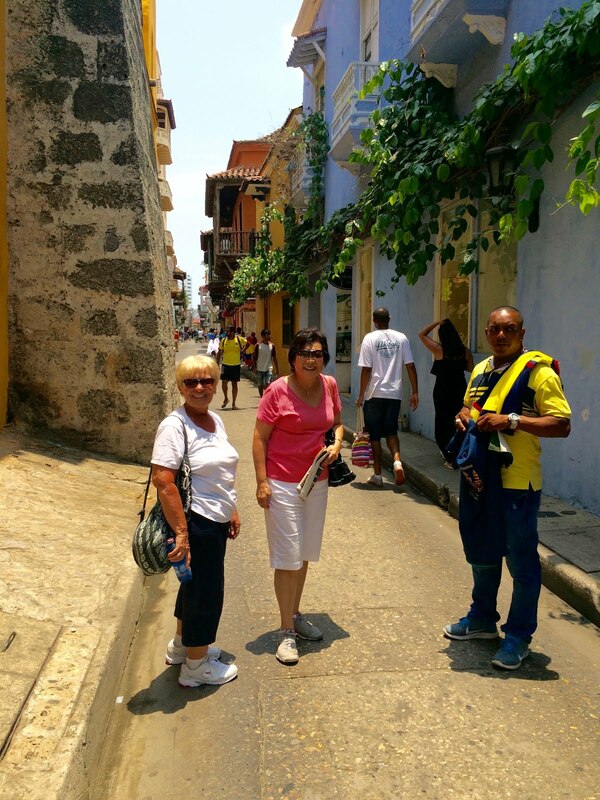 Walking the old walled town of Cartagena. Pub. Being a tourist in Columbia is hot work!